Growing at least some of your own food is one of the most empowering and life-affirming experiences out there. Especially when you learn to let nature in to lend a helping hand, it becomes incredibly rewarding, less time-consuming and frankly, easier all round. In the face of climate change extremes of weather this more resilient approach is also an increasingly sensible option. 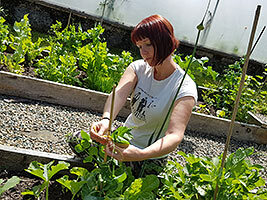 Kim Stoddart’s gardening courses, have been designed to demonstrate how you too can nurture a wide range of delicious home grown produce for yourselves with little to no fuss at all. Each day is packed with lots of ideas and time saving tricks, techniques and skills to furnish you with the knowledge and inspiration to find a way of gardening that works best for you and your plot. Run from her organically managed smallholding centre near to New Quay in beautiful Ceredigion, there’s also the opportunity to enjoy the abundant wildlife, meet the very friendly pet farm animals and soak in the unspoilt beauty of this scenic haven in the West of Wales. 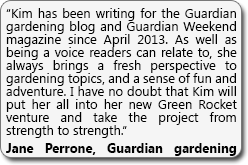 As a national gardening journalist writing for many publications including the Guardian, Grow Your Own magazine, Country Smallholding and The Organic Way (as editor), Kim offers a wealth of wider experience guaranteed to empower and help you look at gardening in a whole new way entirely. 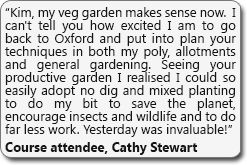 We’re offering gardening-related days just for now but will be branching out into a wider range of experiences over time. 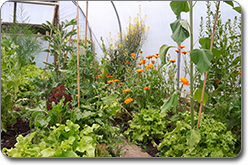 For free grow your own tips, articles and advance notice of courses and news why not sign up to our newsletter here. 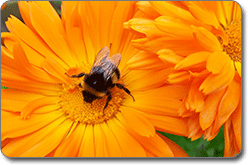 I’m a gardening journalist and author with a strong background in social enterprise and ethical business. 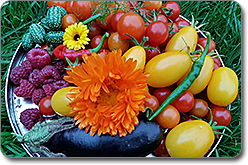 I write regularly for a range of publications including the Guardian, Grow Your Own and Country Smallholding magazines, and I’m editor of The Organic Way magazine. 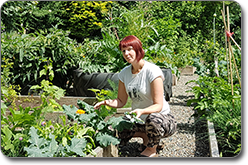 20% of all profits from our courses help to fund our work through sister enterprise, Green Rocket Futures C.I.C, providing therapeutic and life enhancing, tailored opportunities for those on the autistic spectrum. My 9 year old autistic son, Arthur is my inspiration, having seen how gardening and being around animals calms, engages and benefits him immensely. Equally important is having the opportunity to tap into what really interests each individual and nurturing it (in Arthur’s case this means cooking and making things – he’s a legend in the kitchen). Every person with autism is individual so we take a person-centred-approach as much as possible, looking to find and encourage interests and build confidence, experience and greater opportunities for wellbeing along the way. 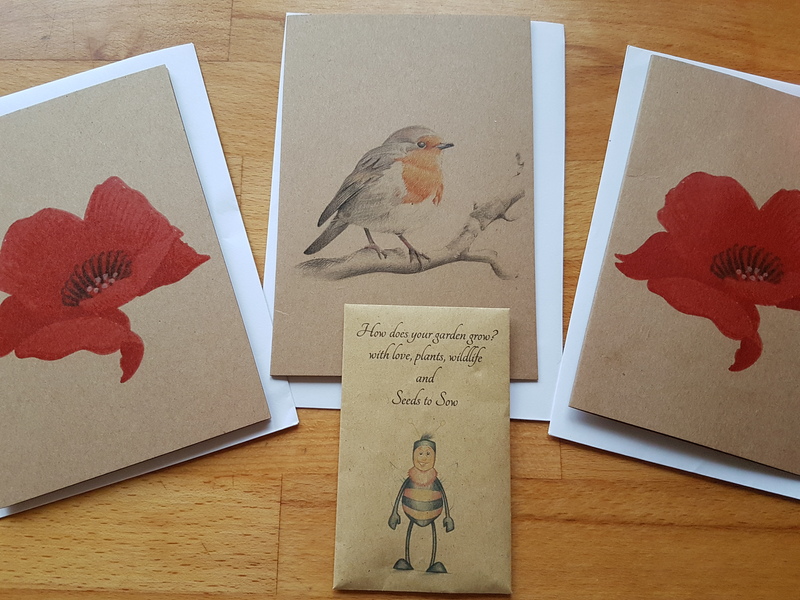 New – receive a confirmation of your forthcoming gardening course in style with the Green Rocket card and wildflower seeds – now sent out for each day course booked. 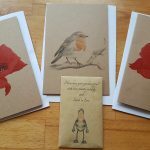 Ideal for friend and family gifts and just treating yourself!